It's time for Metroid to transcend, leave action platforming behind and embrace the action RPG genre. With Nintendo giving Samus Aran the cold shoulder, Matt Hauenstein of Nintendo Love Affair tells us why the dark, suspenseful Metroid series is screaming to be made into an RPG. The pieces are all there and the time is right Nintendo. When I was in college there was one thing that brought everyone together(drinking notwithstanding). Jocks and nerds alike rejoiced whenever a certain video game was powered up. Each person would cram inside a small dorm room and gather around a 5 year old cathode tube television on an assemblage of futons and bean bag chairs. All vying for a chance to play a 10 year old game on a 13 year old console. 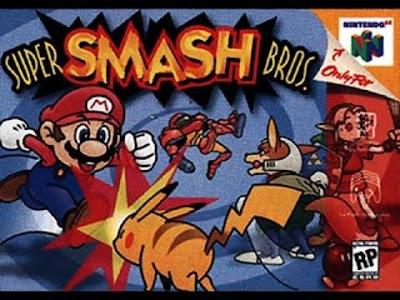 The game in question, Super Smash Bros for the Nintendo 64. Deciding which character to pick was a real struggle and crisis of conscious for some, but for me, oh no, I was always resolute on who my champion would be. The character I picked was always the blonde bounty hunter herself, Samus Aran. The reasons behind this were simple, she was the coolest. Armed to the teeth, she wielded a laser cannon, missiles, and bombs. You name it, she had the requisite skills to defeat it. Her character had always appealed to me. Her core story was that she was a bounty hunter in space that hunted down evil(the evil most often times being Metroids). The possibilities for the stories one could tell about her were endless. I played Super Metroid as a child and was ever intrigued by it. My love of all things sci-fi only brokered a stronger bond between me and this fascinating character. 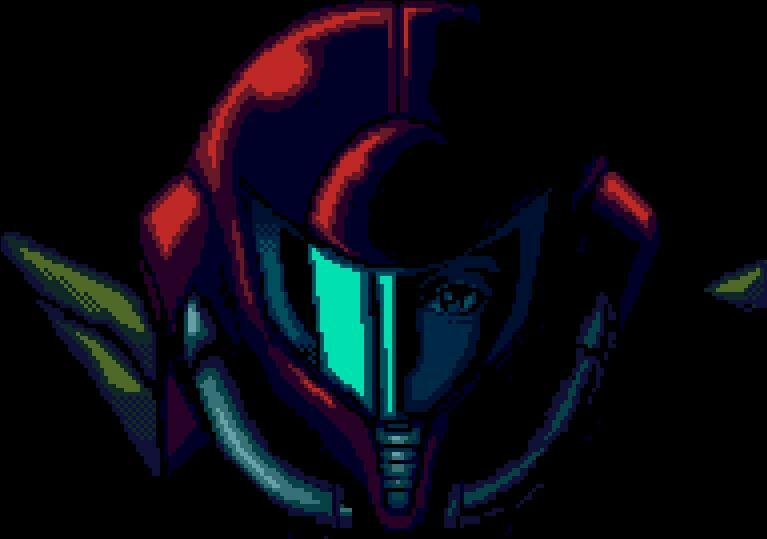 Samus’ only appearance after Super Metroid(1994 SNES) was in the above mentioned Super Smash Bros.(1999 N64). Throughout the entire lifespan of the N64 not a single stand alone Metroid game was made. Not until Metroid Prime came out in 2002 for the GameCube, was Samus Aran heard from. But fans of the cosmic hunter were blessed with a trilogy that satiated everyone's appetite for new Metroid games. Those games spanned from Prime in 2002 to Echoes in 2004 and ended with Corruption in 2007. During this time Nintendo had made an emphasis on using its core IP’s to help make the Wii a success. They developed new games for Mario(Super Mario Galaxy), Zelda(Twilight Princess), Donkey Kong(Jungle Beat) and kept churning out Mario Kart and Mario Party sequels. Samus would also go on to make 2 more appearances in subsequent Super Smash Bros games. As a fan of Metroid and its leading lady, Samus Aran, I was on cloud 9. I was convinced that Retro Studios would continue the brand for the foreseeable future. After a two year hiatus a new Metroid game was released, not by Retro Studios though, but by Team Ninja. The game was titled Metroid: Other M. Team Ninja, based in Japan, were known for their work on the hack and slash Ninja Gaiden series and the Dead or Alive fighting series. Other M, not surprisingly bore little resemblance to Retro’s prior Metroid titles. 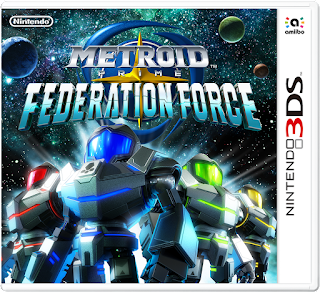 It was more similar to Metroid’s roots on NES and SNES, and worked well as a 3D/2D adventure/shooter game. However, many derided the game despite its positive metacritic score of 79/100. G4’s Attack of Show selected it as one of the worst games of 2010 and Game Informer labeled it as the third biggest disappointment of 2010. Since Metroid: Other M was released in August 2010 Nintendo has not developed or announced another Samus led Metroid title(a Metroid Prime trilogy remaster was released in 2009. 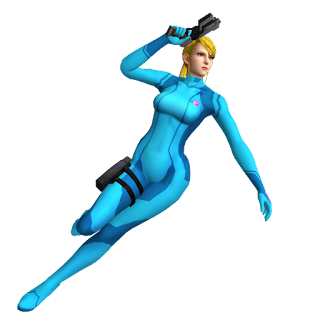 Samus also appeared in 2014’s Super Smash Bros Wii U). After 6, and some would say 9, long years Nintendo has kept one of its best players on the bench. I feel Nintendo has betrayed me and fans across the globe by keeping the its orange assassin shelved. But, I have hope that the mothership will call our favorite bounty hunter back into action, and I think I have a few ideas on how they should do it. Before I continue I want to preface the rest of this piece by saying that I’m not acknowledging the abomination that is Metroid Prime: Federation Force. The game bears literally no connection to past Metroid titles and features a poorly made Rocket League clone in Blast Ball. It also doesn’t feature Samus Aran as a playable character. The fact that the Metroid name is brazenly attached to it makes me sick. The game itself looks terrible. Its also about as serious as a Rachet and Clank game. The box art looks like it was created by someone who partook in illicit drugs and then watched too many episodes of Voltron. I’ve even located a petition on Change.org calling for the cancellation of the game. Within a single day of its announcement the youtube trailer had a 90% dislike ratio. It’s become so bad that after the latest gameplay footage was released, Nintendo had to disable the like/dislike feature on the video. 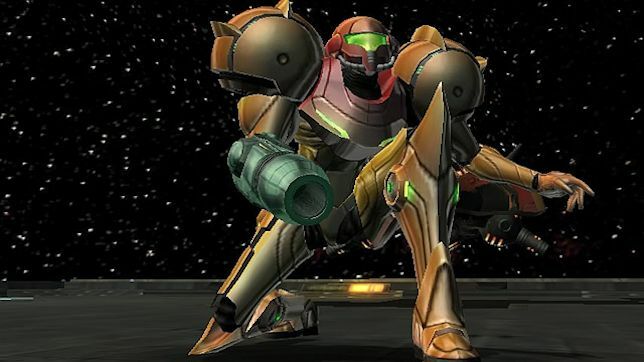 Bringing Samus back to life will not be an easy task for Nintendo. The expectations set upon them by fans, critics, and myself are perhaps insurmountable. What should the big N do? They should start by looking at what makes Metroid... Metroid. 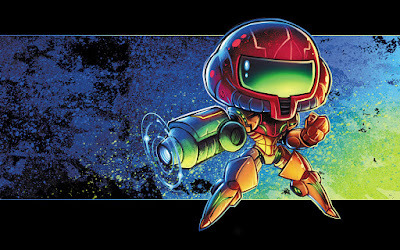 Looking back at Metroid and Super Metroid the player’s goal was to scour an alien planet hunting down enemies and loot. That loot consisted of armor and weapon upgrades. Those games involved boss fights which made strategy essential to survival. 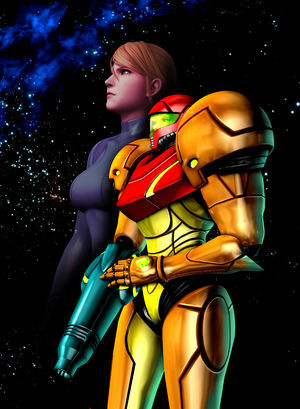 The player also worked in a non-linear environment and was able to move Samus through the same areas at their own risk, backtracking for upgrades. The Prime series did the same things, but in a first person view. Samus was dropped on a planet, an open world, and had to collect weapon upgrades, and hunt for new armor, all the while fighting through bosses and moving through old and new areas. In each game the player was given an open world, upgradable armor, weapons and were more or less alone in the world. Now, keeping in mind Nintendo already has a popular action adventure franchise in Zelda there is an obvious genre gap that Nintendo needs to fill. For me, Samus Aran cast as the leading star of her own action role playing game would be a match made in heaven. The world of Metroid is prime real estate for an action centric RPG. A developer could build a beautiful Metroid-verse and fill it with diverse planets and unique alien races. Samus’s own backstory could be explored to the extent that it was in Other M but with the player being in control of her choices. One of the best ways the genre fits is with the customization of Samus’s armor and weaponry. Developing skill trees for Samus would inevitably make every player's experience different. Players could choose to focus on stealth over firepower, or they might want to fully upgrade their beam cannon and add different attributes to it. Armor permutations could also add to a level of role playing. Suits could be focused around tank-like abilities or they could be fine-tuned to be sleek and agile. Metroid is pure science fiction and Samus Aran is a great heroine to center a grand story around. If the people at Nintendo are curious as to what a successful sci-fi RPG looks like, I think there’s a very obvious comparison, Mass Effect. Mass Effect is the quintessential action RPG. 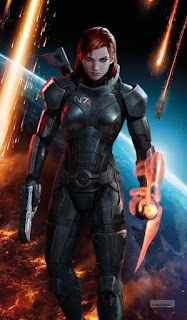 In this writer’s eyes the Mass Effect series is a landmark in both science fiction writing and game design. Bioware was able to perfectly blend RPG elements with cover based 3rd person gameplay. The dynamic dialogue wheel combined with impactful decision making made every action resonate and meaningful. Both Metroid and Mass Effect take place in the void of space, populated by alien enemies. Granted, that comparison can be made between most works of space based science fiction. But, think about this; would replacing Shepard(Mass Effect’s leading man/lady) with Samus change the gameplay of Mass Effect? No, it wouldn’t. Obviously the stories of each character and their universes are different but, this comparison would give Nintendo a very successful frame of reference to draw upon to develop a new Metroid title. A RPG logically fits for Metroid and Samus Aran, but does it fit for Nintendo? This history of successful role playing games for Nintendo is an odd one at best. A simple google search for “Nintendo RPG’s” leads with the often under appreciated Super Mario RPG: Legend of the Seven Stars(1996 SNES) and other titles from SNES and their handhelds. When a company's first result is a game released 20 years ago, one can only assume the worst. Gamestop’s online shop also doesn’t paint a great picture for Nintendo based RPG’s. According to Gamestop, the Wii’s most popular rpg is a game called Dokopon Kingdom. It’s not much more promising for Wii U which features a list of only 4 different titles, one of them being a Mass Effect 3 port. But the situation is not as dire as those examples might present. 2015 was great year for RPG’s. Fallout 4, Bloodborne, Undertale, Pillars of Eternity and the nearly unanimous game of the year The Witcher 3:Wild Hunt were all released. Someone can easily point out that none of these games were released on any Nintendo platform and they would be right. They could also draw a conclusion that RPG’s just don’t sell on Nintendo, but on that count they would be wrong. In reality Nintendo boasts a very well respected series of RPG’s, the Xenoblade Chronicles. 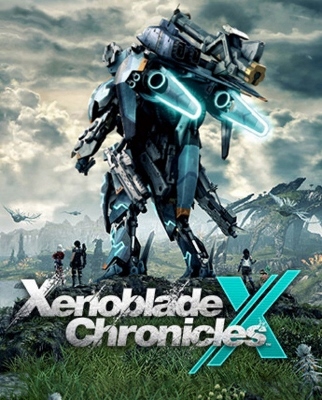 These titles sell very well for Nintendo, especially the most recent release Xenoblade Chronicles X which came to North America this past December 2015. According to VGChartz.com the game has sold nearly 330,000 units in North America as of March 5th and has outsold the Mass Effect 3 port. Nintendo also provides other well respected RPG series such as Fire Emblem and Bravely Second. Let’s also not forget the RPG goliath known as Pokemon. The audience is clearly there for a Metroid inspired RPG. If JRPG’s can be successful platforms in America on Nintendo it’s safe to assume Samus Aran can sell her own action RPG. A Metroid RPG would fill a definite hole in Nintendo’s catalogue. It would provide a more serious alternative to some of its more lighter fare. And to those that think that Nintendo doesn’t do serious, then you must be forgetting that Resident Evil 4 debuted on Gamecube in 2005. That game was, and still is considered one of the greatest and most influential games of our generation. What do you want to see in a Metroid RPG? Let us know in the comments below! I don't really like the idea to be honest, I don't think Metroid should turn unto an RPG, The Legend of Zelda seems to be more fit for that. I think Metroid should stick with what it is now, whether we are talking about the 2D or the 3D versions of the game, only Metroid does what it does, that style of game is only found in the Metroid franchise, specially if we talk about Metroid Prime. We already have many RPG, but we don't have anything else like Metroid. When you look at the 3D versions of Mario, Zelda, and Metroid you notice they all share similar elements. They are all, at their core, adventure games. Mario is unique because it puts more emphasis on running and jumping. Zelda, more emphasis on story and sword play. And Metroid is Nintendo's dark horse that focuses on shooting and exploration. I think Nintendo could take each series further by developing what makes them special. I think both Zelda and Metroid could be huge open world's. You have given me a lot to think about. Thanks for the comment!